Although healing physically and emotionally from an accident is tough, dealing with insurance companies can also be challenging. Here are 5 essentials for negotiating insurance claims after you or a loved one are injured in an accident. You and your attorney should review the evidence at hand, including your medical bills, lost wages, any future expenses you’re expected to incur, and your overall pain and suffering. Your attorney should help you come up with a preliminary figure of what a reasonable settlement would be before you receive or accept an offer. In almost all cases, the first settlement offer an insurance company makes is quite low. They’re hoping you’ll take it out of necessity, especially if you can’t afford your medical bills or to be off work after your injury. However, once you accept a settlement, that’s it — there’s no going back for more money if you need it later. Don’t take the first offer; instead, discuss it with your lawyer to determine if the offer is fair or not. If your insurance company offers you a settlement that is too low, ask them to justify it in writing. You have the right to know how your insurance adjuster arrived at the settlement offer they are proposing and under what reasons they feel it is a fair settlement. In some cases, they’re unable to do this and may be forced to raise the offer. If you end up pursuing litigation, knowing why they think a low settlement is fair can help your attorney prepare a rebuttal for each point. You’ll have to illustrate to your insurance company why you deserve a higher settlement. In fact, this means truly showing the insurance adjuster the harsh details of your accident. This could be a written testimony of the pain and turmoil you went through, or it could be photos of a totaled vehicle or your critical injuries. 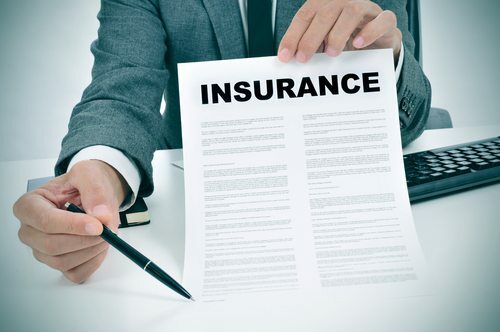 Once you and the insurance company reach an agreement as to what they’re willing to offer and you’re willing to accept, get it in writing as soon as possible. For help negotiating with often difficult insurance companies, contact the Slonaker Law Firm today. We can help you deal with insurance red tape. Call now at 352.629.6656 or 352.777.8176.